A pocket-sized tea tasting journal to expand your palate, by 33 Books. 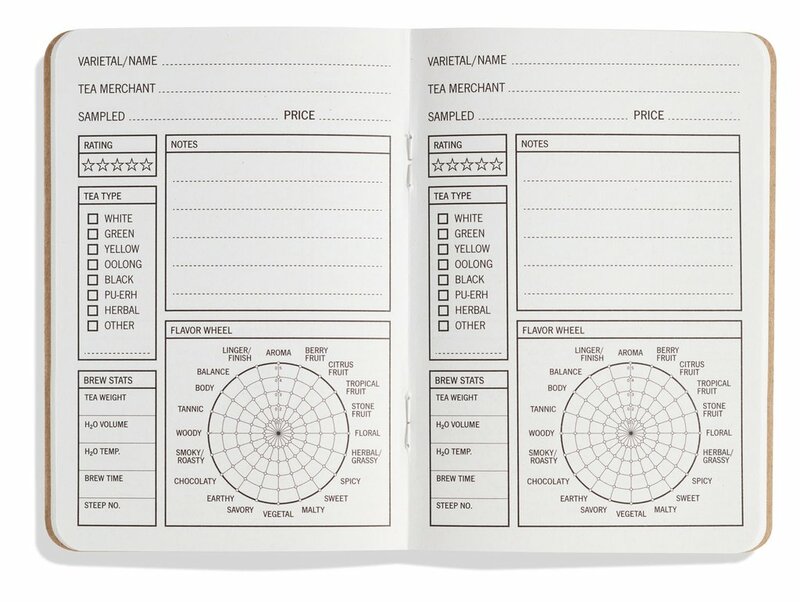 Finally, an easy way to quickly record tea tasting notes in a small, pocket-sized notebook. It’s perfect for tea novices and pros alike. 5" by 3.5" journal is made with 100% recycled papers. Interior pages are 100% post-consumer recycled content and covers are 85% post-consumer recycled content and 15% recycled content. The booklets are printed using US-grown soy-based inks in Portland, Oregon.